We've covered how to prioritize your spend and identify your best app acquisition efforts. So once you've acquired new users, proper user onboarding is crucial to long-term app retention. In this post, we share two reports that can help you better your app onboarding efforts and prioritize your spend. Find out how effective your welcome series is in retaining and engaging customers. 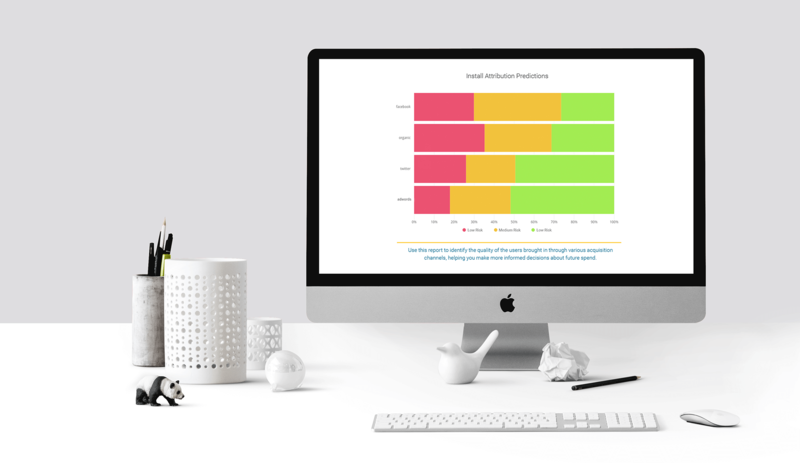 The New User Retention Heatmap Report gives marketers an up-close look at the impact each message has on engagement and long-term retention by tracking the impact it has over the time period that’s important to you. How effective is my welcome series at increasing user retention over different time periods? How far apart should I space notifications/in-app messages for the highest retention? What effect do notifications have on my retention rates? Experiment with adjustments to the welcome series to increase retention — adjust timing, offer (e.g. product tour) or when to ask for that critical opt-in. For those engaged and retained through 90 days, identify characteristics can be used attract additional similar users. 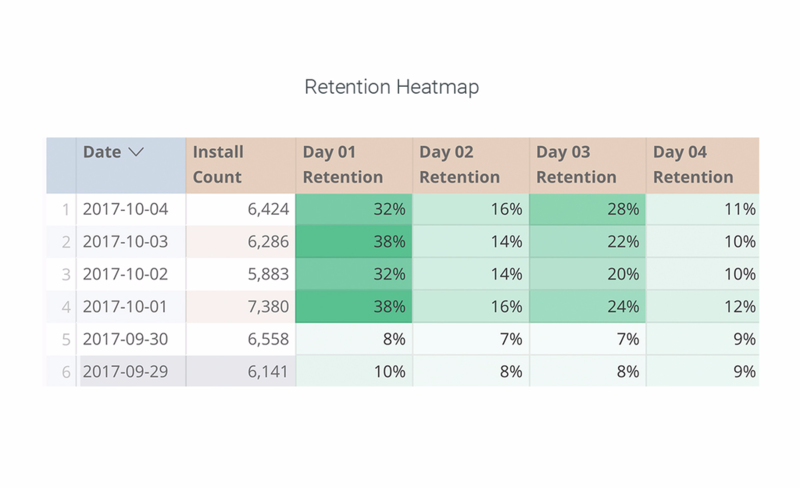 In this report, we take a look at 4 day retention and see the impact of a 3-part welcome series has on D1 and D3. Marketers and product owners can easily pinpoint how users are interacting with their welcome series starting on 10/1 and determine if updates to their welcome flow are having the desired effect. Discover the moments in your app experience that lead to above average retention. 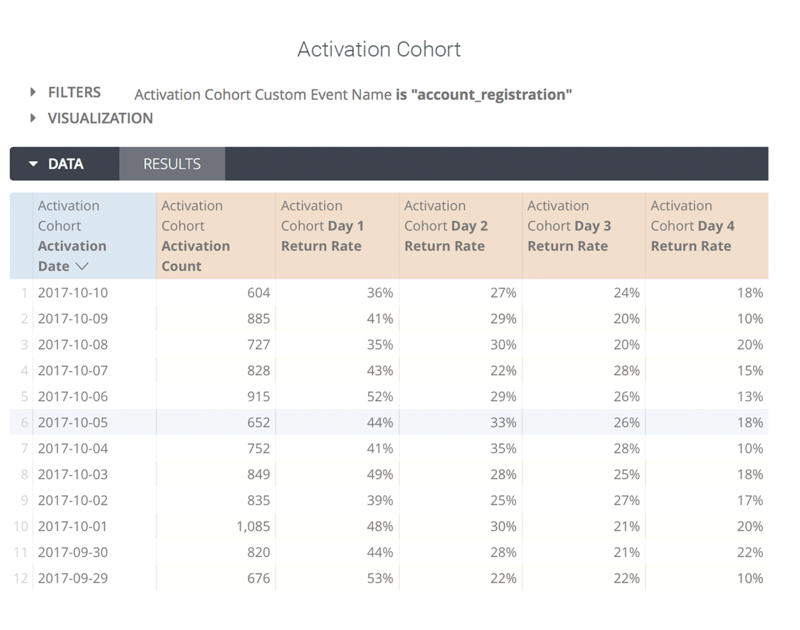 The Activation Heatmap Report allows you to see the impact a specific event (i.e. completing a profile, achieving a goal or using a specific feature) has on user retention. Choose any captured event to model which activities drive desired outcomes, then focus on engaging those segments with targeted messaging. What experiences can I promote that drive higher retention? What are key “activation events” for my app? What do the cohort of users I retain longest have in common? Drive additional activation events using notifications or in-app messaging. Take learnings and identify high-value early app activity; experiment with timing/offers to see whether other cohorts can be converted faster. Apply filters to heatmaps and see how people who completed account registration are retained over a 4 day period. Interested in reports beyond that help you beyond tracking and monitoring your onboarding efforts? 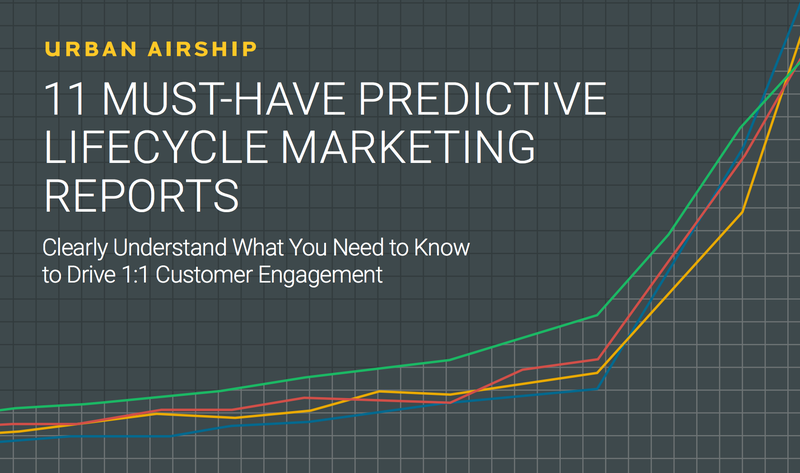 Our 11 Must-Have Predictive Lifecycle Marketing Reports eBook shares additional predictive lifecycle marketing reports we recommend you start tracking to drive better decisions at key stages of the customer journey. Next up in our series, we’ll discuss 3 reports that can help when it comes to conversion-related goals and efforts. Subscribe to our blog to follow along – we share a weekly digest so you don’t miss a thing.